Home » Blogs » JerzyK's Corner » Will you hug them? …Or will they hug you? 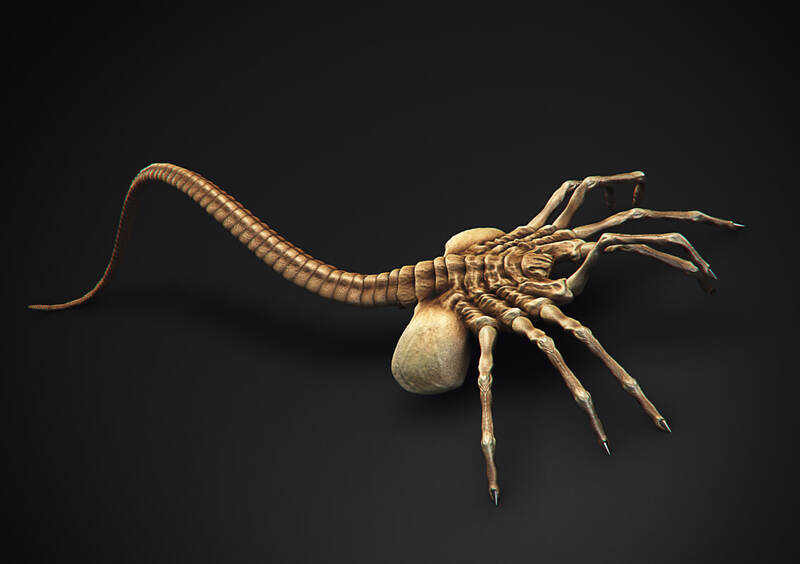 Here is little inbox and photos of painted Facehuggers – sweet creatures that you probably know from Aliens movie series. The miniatures produced by Prodos Games are for the game Alien vs Predator: The hunt begins. They come in boxes decorated with stylish pictures that resemble posters from Alien movies. The figures are cast in light grey resin – something like GW Finecast, but without bubbles or miscasts 😉 They are a little oversized, but producing (and painting) them in real scale would be a nightmare (they should have about 5mm instead of 10mm they now have). The quality is really good. Assembly was straightforward. Wait! There was no assembly 🙂 Every miniature was cast as one piece together with the base (or two miniatures on one base). The only problem was cleaning the miniatures from film between legs (a lot of them) and base ground. Painting them was quite pleasant, something like painting bases only. So 5 (or rather 9) Alien Facehuggers are finished. These are not the only Aliens I am going to paint – just look at the picture below. There is going to be a serious Alien infestation, so stay tuned! Previous PostArdokath the Watchful OneNext PostWorkshops open! / Warsztaty otwarte!